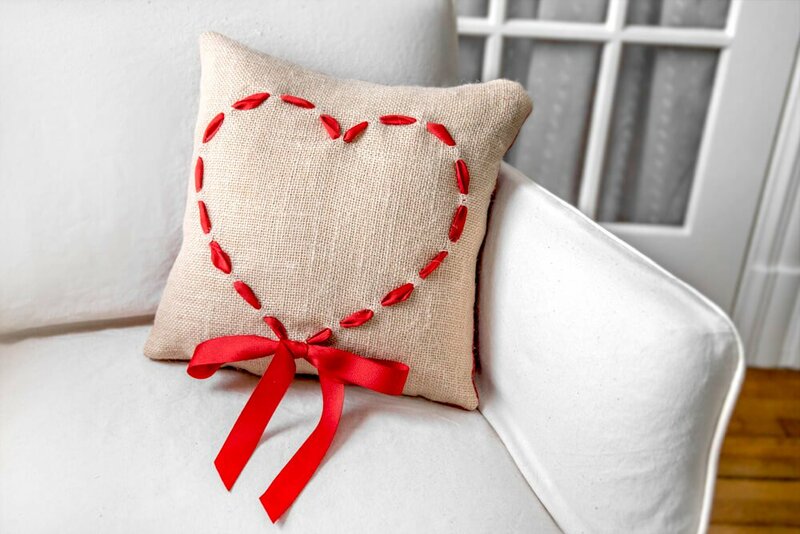 This decorative burlap heart pillow is great for Valentine’s Day as a gift or décor. 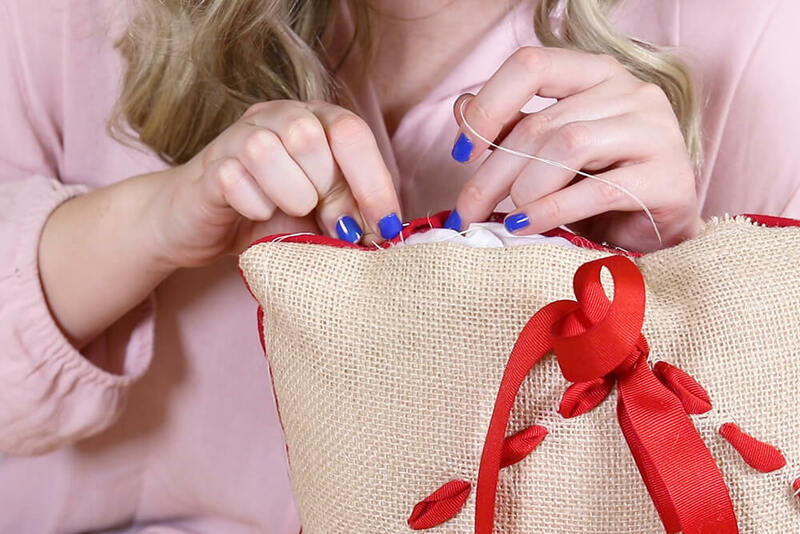 Craft burlap can be used for a bunch of different projects but its loose weave makes it the perfect material for weaving in the ribbon. 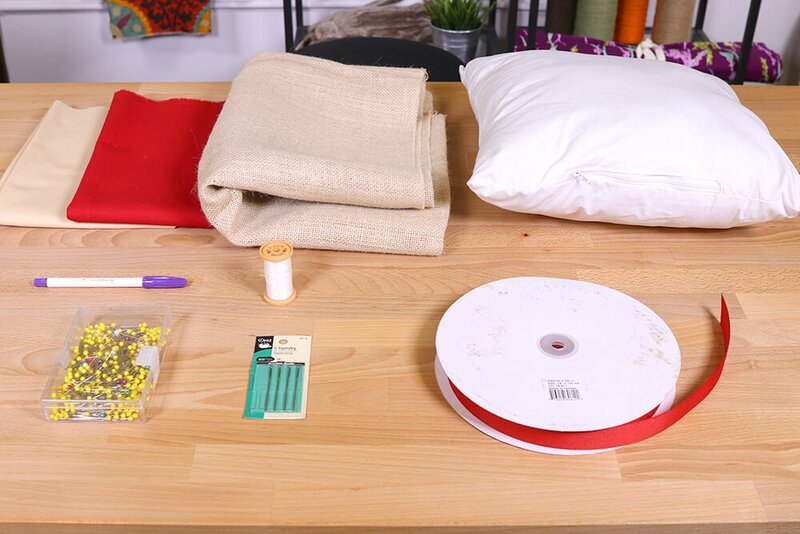 This pillow can be made with any color canvas and ribbon like grosgrain ribbon or satin ribbon. 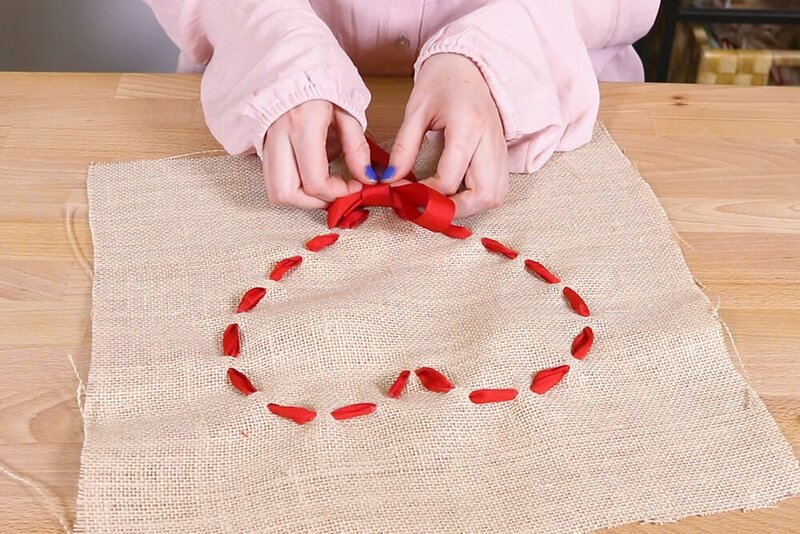 You can also create other shapes for holidays or even monograms. 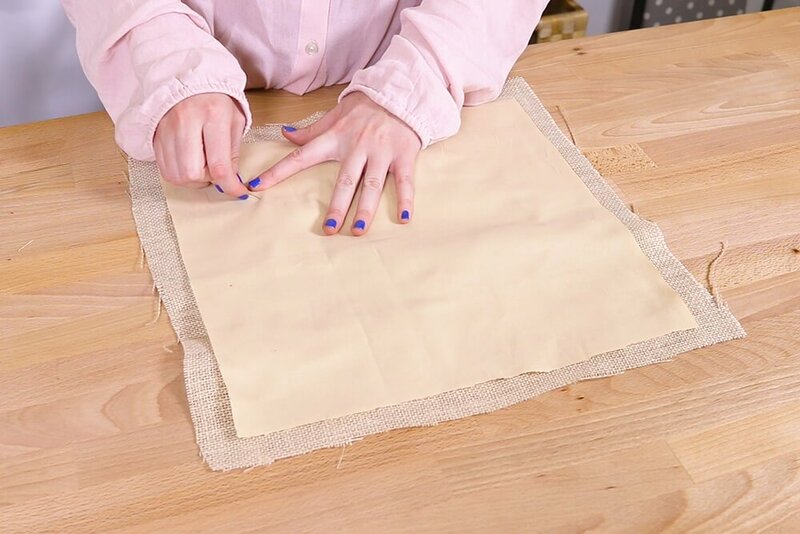 Soft Touch Poly-Fil Supreme Pillow Form - 14" x 14"
If you are using a different sized pillow form, modify your measurements so that your finished pillow dimensions will be 2 inches smaller than the pillow form. Cut 13 x 13 inch squares out of the broadcloth and canvas. 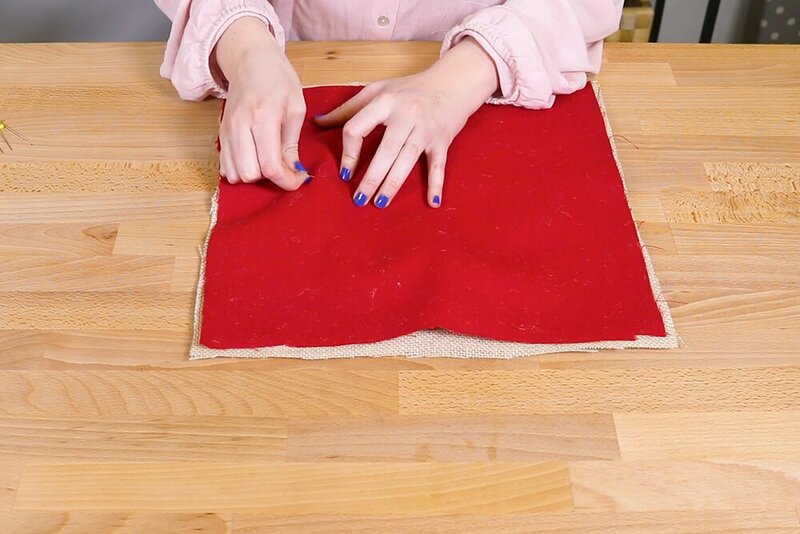 Cut a 14 x 14 inch square of the burlap. The template provided has tick marks at every inch of ribbon showing to every 1/2″ that is not. 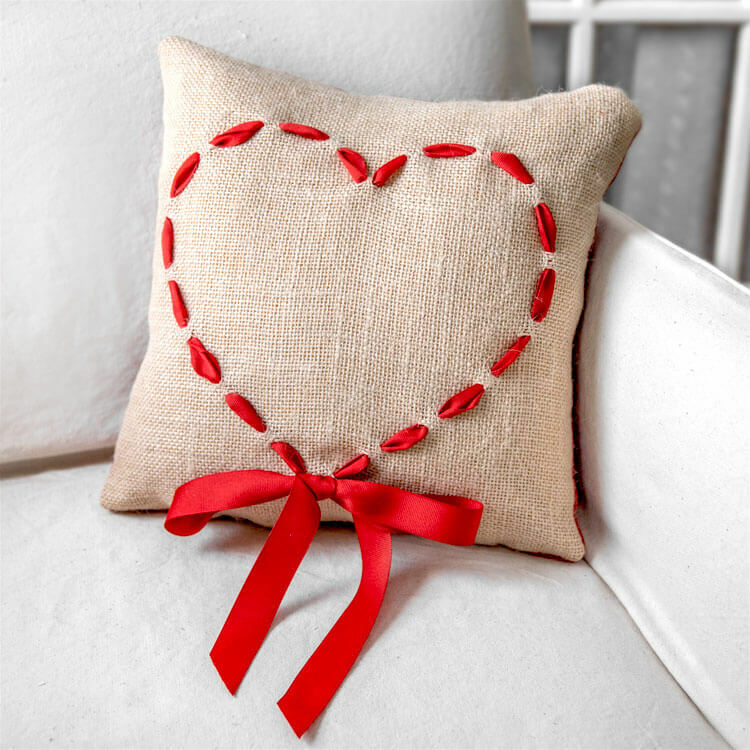 Mark a heart on the burlap. 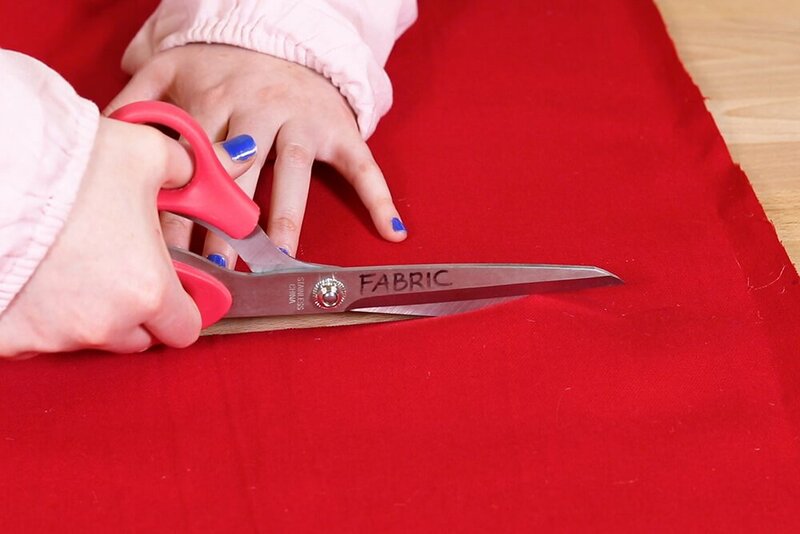 Make tick marks where you will be weaving the ribbon. Wiggling the needle makes it easier to pull the ribbon through. Thread the ribbon into the eye of the needle and use the tick marks as a guide for making your heart. 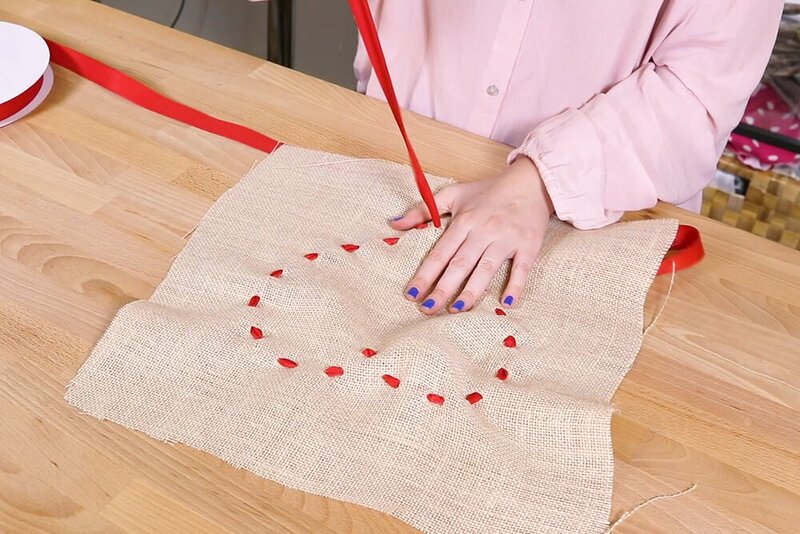 Starting at the bottom of the heart, weave the ribbon through the burlap leaving about 12 inches of ribbon at both ends. Tie the ends off in a bow. 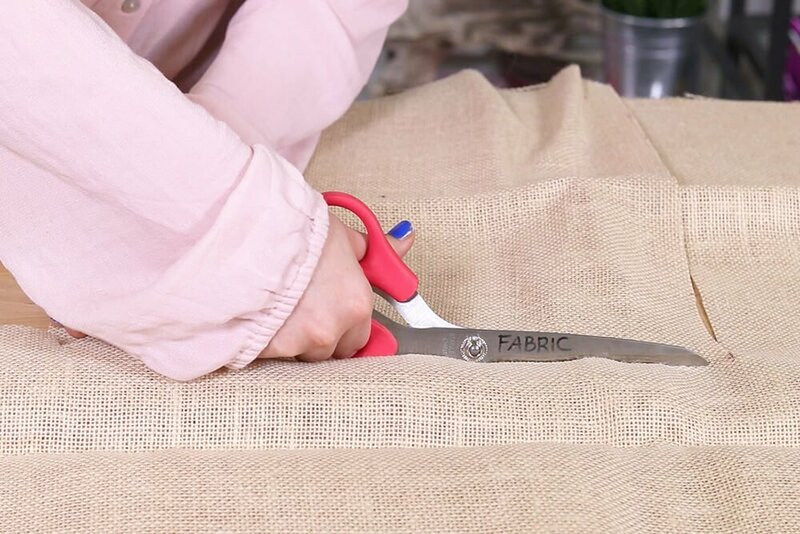 Pin the broadcloth to the back of your burlap and sew around the edges of the entire square with a ¼ inch seam allowance. 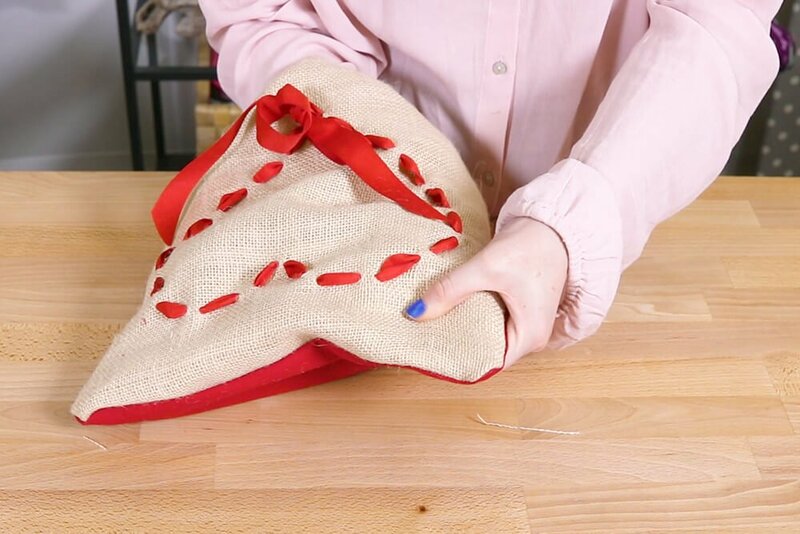 Cut off any extra burlap. 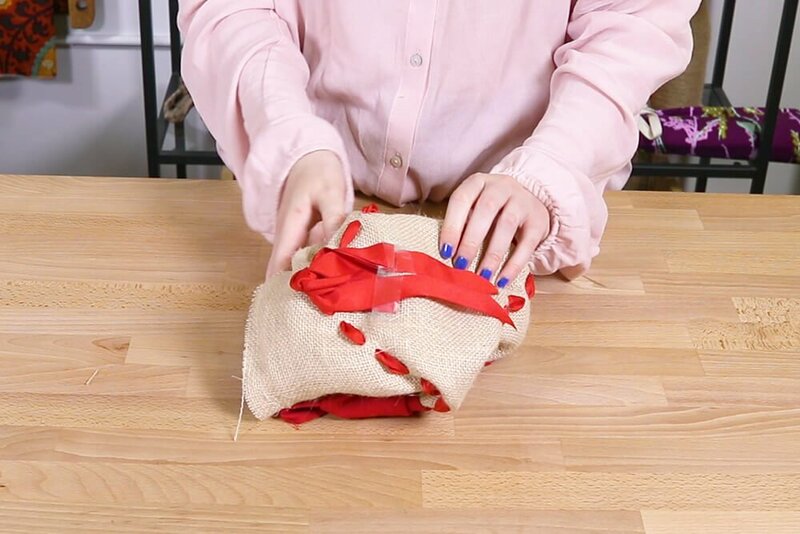 I taped the ribbon to the center of the heart so I didn’t accidentally sew it to the pillow case. 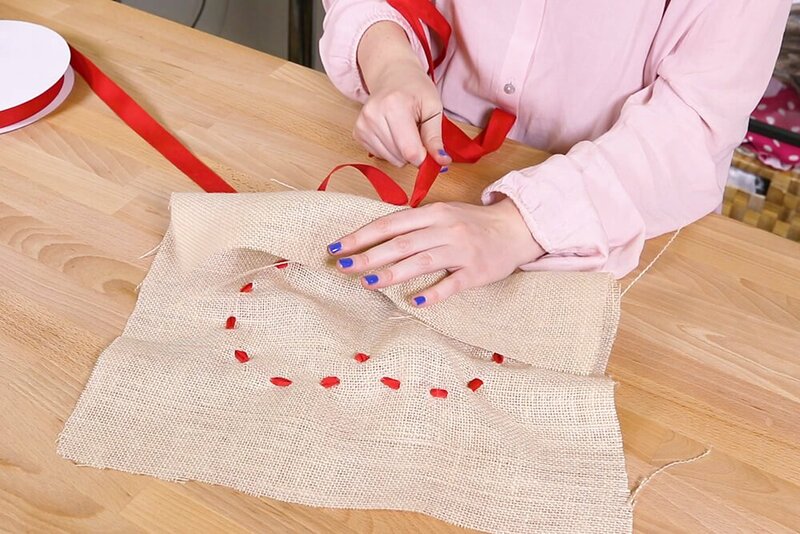 Pin the canvas to the burlap with the outwards facing heart in the center of your pinned materials. 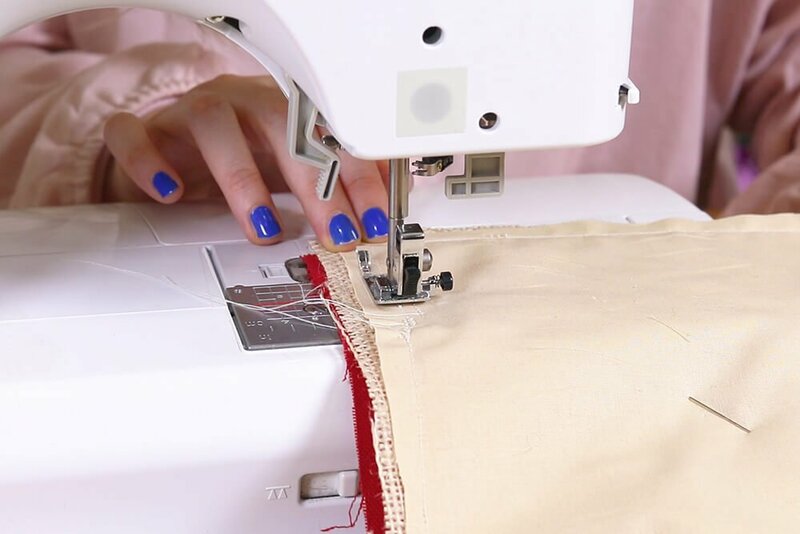 Start sewing around the edge about 2 inches away from the bottom corner of the pillow, backstitch, then sew three more sides fully. 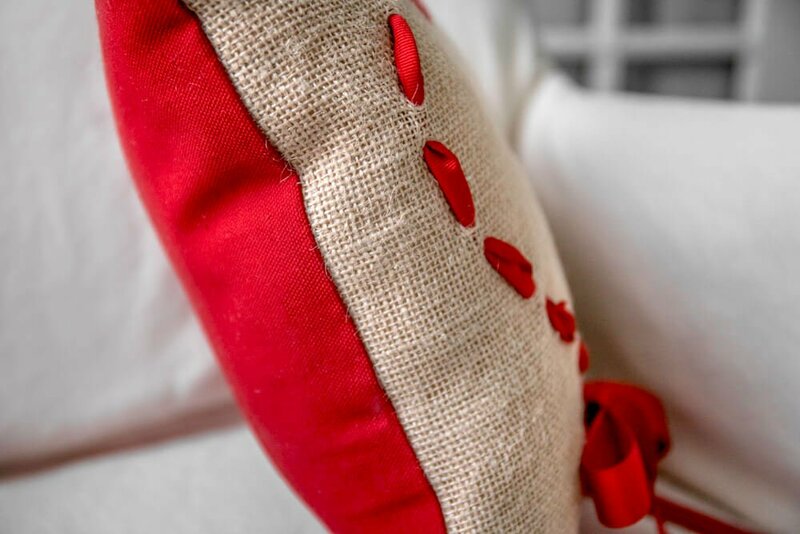 Finish by sewing another two inches on the bottom of the pillow but now on the opposite side. 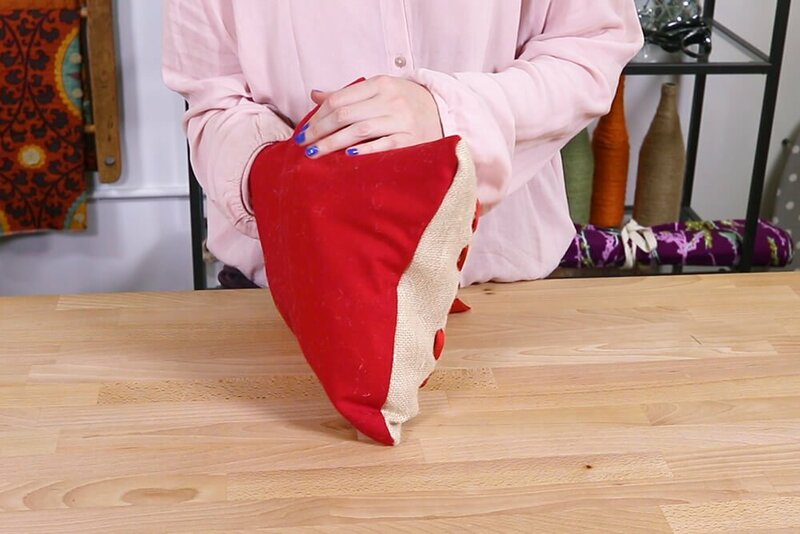 This leave a gap to insert the pillow. Backstitch to make sure the seam stays and is strong. Flip the pillow right side out making sure to push out the corners of the pillow. 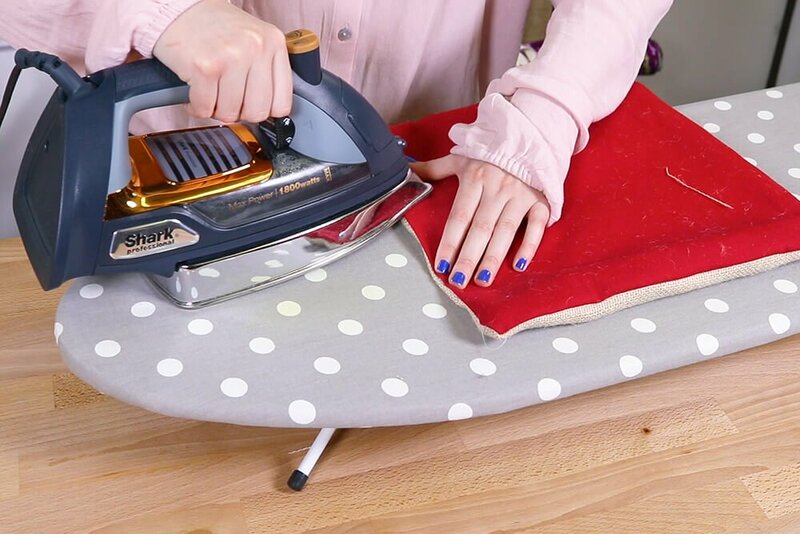 Fold in the edges of the opening and iron down the seam. 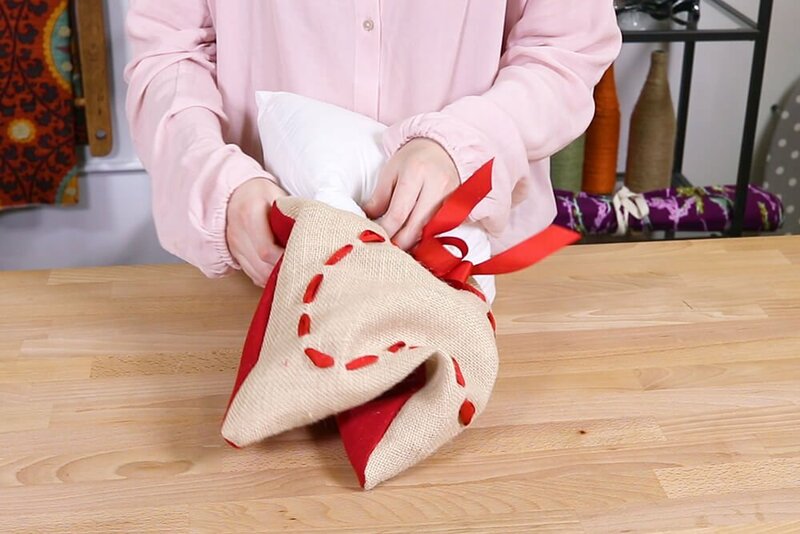 Stuff the pillow form inside. 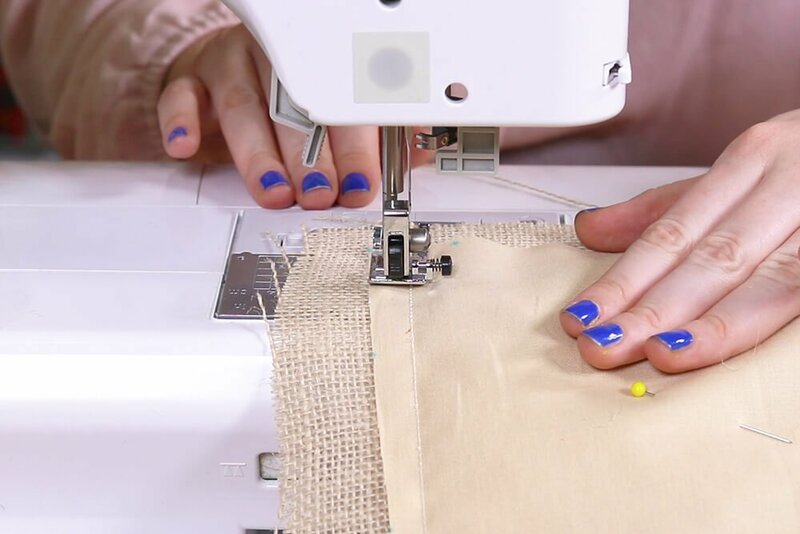 See our video on how to sew an invisible stitch for details. 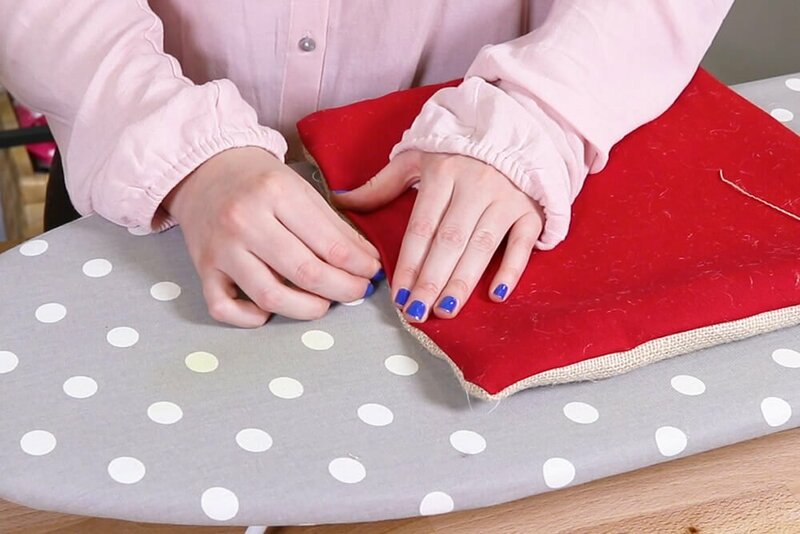 Using an invisible stitch, close the remaining edge of the pillow. Ready to get started? 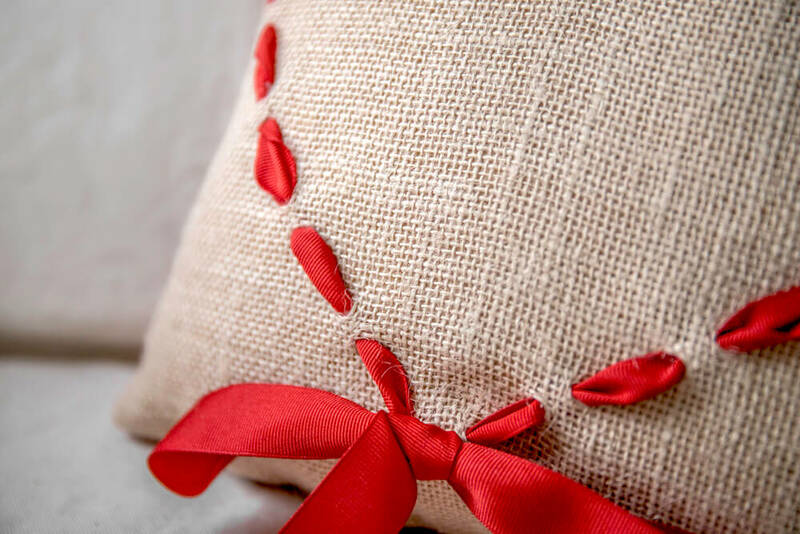 Pick out your burlap here!